Marcella Menegale has been cooperating with the Department of Linguistic and Cultural Studies of Ca’ Foscari University in Venice since 2002, working on research studies and ministerial projects concerning second/foreign language learning and teaching. 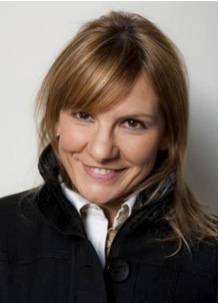 Her main area of interest is plurilingualism and she is particularly involved in CLIL (Content and Language Integrated Learning) methodology, intercomprehension between languages of the same family and language learner autonomy, a topic which she has developed in her recent doctoral research. She also coordinates and leads teacher training sessions in the fields of applied linguistics and language education. The majority of existing works on language learner autonomy regards adult learners. However, autonomy is a capacity that requires time and perseverance to be developed and if we want our students to be more responsible and active in their learning process, we need to work on it from the very early stages of their language education. With the intent to try to define the general level autonomy in young learners, I decided to investigate both secondary school teachers’ and pupils’ perceptions about the main aspects connected to self-regulation: sense of self-efficacy, attitudes towards language learning, disposition to take charge of one’s learning, etc.. In my talk, I will describe my research findings, reporting those sides of autonomy which pupils seem to have already developed, and reflecting on aspects that, on the contrary, still result problematic to be achieved in class. Data presentation will open the way to practical teaching issues and proposals for further research. Language learner autonomy is making use of any kind of linguistic input into which one daily runs with the purpose of increasing one’s language/learning awareness, which will then be applied to learn and use other foreign languages. For this reason, it is extremely important to help pupils build connections between formal and informal language knowledge, between inside and outside classroom learning, between one language and another so that they may well generate a unique language repertoire. The workshop will suggest some practical ideas to help pupils make these connections, considering with the participants (1) how to exploit the linguistic landscape as a pedagogical resource in foreign language learning classrooms and (2) how to use non educational settings (multiple media and game elements) to empower pupils’ language competence.